A few years ago, graduates of Antioch University’s Teacher Education Program, where I teach, passed out dandelion corsages at commencement. Maybe calling them corsages is giving them too much credit—each one was a single dandelion held in place with a safety pin—but we wore them proudly. They made us and everyone who saw us wearing them on our academic regalia smile. As we reflect on the past year and some of us move on to new challenges, let’s think about how the best teachers, the teachers we want to cultivate, have really taken the lessons of the dandelion to heart. Be stubborn in your commitment to growing: How many dandelions does it take to cover your entire lawn? Only one, given a little time. Ever try to get rid of dandelions? Unless you dig all the way down to the very tip of the taproot, you’re not getting rid of them. They come back again and again, undefeated by your efforts to stop them. That taproot that goes way down is the horticultural equivalent of your educational philosophy. Know what you believe in and what you stand for, and let that hold you fast when forces outside of your control try to dig you up. Dandelions grow everywhere: in cracks in the sidewalk, building foundations, the middle of lawns—wherever the seed lands, they grow and bloom. Please know that you and your students can do the same, growing and thriving in all kinds of tough conditions. Teaching can be a rough gig. It’s easy to be discouraged since we never get to be done—kids are always growing and changing, and it’s our job to work in the spaces where they don’t know the things yet. It would be a lot easier to teach what kids already know, but that isn’t our job, and working in those spaces, moving them from the comfort of the thing they finally understand into the no-man’s-land of the newest thing they don’t know yet, requires us to be as stubborn as dandelions. Proclaim your presence with confidence (but don’t take yourself too seriously): You can’t miss those bright yellow blooms. There’s no subterfuge or pretense to the dandelion. They practically shout at us to see them, dare us to ignore them in all of their nuisancey glory. They’re unabashedly, loudly here. I know that flowers don’t have emotions, but I like to think that dandelions are the class clowns of the flower world, unafraid to be who they are. They proclaim their presence with a wonderful confidence that requires our attention. Remember that, because it will sustain you and your students when the world is cold and dark and hard. Feed minds, hearts, and souls: Did you know that bees depend on dandelions as one of their first food sources in the spring? Sure, they need more than just dandelion pollen, but that pollen provides the nutrition they need to get going. In addition to feeding minds, teachers feed hearts and souls—and bodies from time to time. Don’t be afraid of those less-academic parts of the work, and don’t let anyone tell you they aren’t important. Being a teacher has less to do with curriculum and standards and assessments than some would have you believe. Create something new out of every ending—and be a vehicle for wishes: A dandelion bloom doesn’t last all summer—a single bloom fades and another grows in its place. Teaching is similarly about cycles. Terms, years, careers... they all have a beginning and an ending. When we let ourselves, we can view these cycles as opportunities to reinvent and reimagine ourselves personally and professionally. Give yourself permission to change your mind about everything. Let an idea, a belief, a certainty die in the face of new learning, and then let a new idea grow in its place. Your first school (or classroom) probably won’t be your last, and you could have 25 classes—or as many as 175, if you’re a single subject teacher—over the course of your career. Let each new experience be a vehicle for new wishes—your own and your students’—and allow yourself grow roots, bloom, and scatter seeds so new roots can grow. 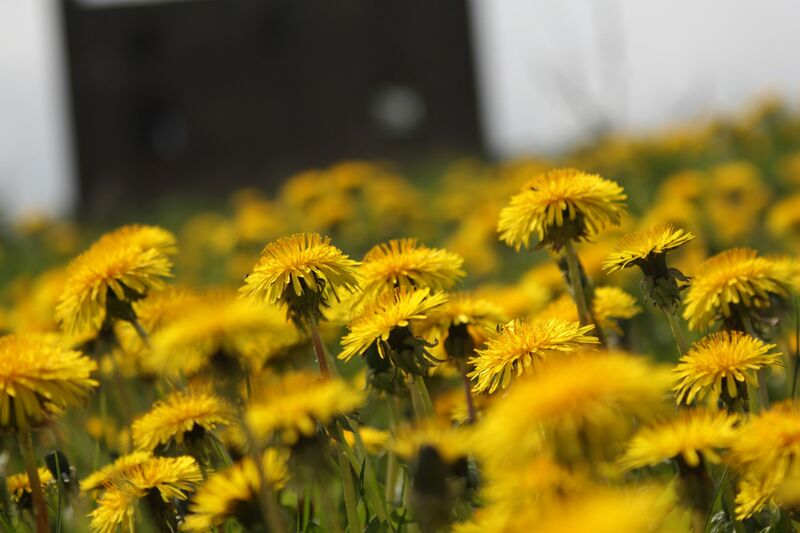 Don’t let the haters get you down: Some people curse dandelions as a weed. They mow them down, but dandelions keep coming back, just closer to the ground. They learn a little and figure out how to keep going, I guess. As a teacher, you’ll find that some people will want you to become something else so you better suit their idea of what a teacher should be. Sometimes they’ll have useful ideas that will help you grow, and sometimes it will feel like they just want to mow you down. Know what you stand for so you can make the right choices about what works for you and your students.